Ivana Hruba - Ivana Hrubá is a lovely, lovely girl and a writer of some "notable" talent, the sum of which will, just for your entertainment, be very modestly noted here. Specializing in writing bold, quirky and outrageously entertaining fiction, Ivana is what we call an undiscovered gem, an exotic island waiting to be explored or, as some people say, a territory best left uncharted. Ivana concocted her first novel at the tender age of twelve when she was but a wee little girl wearing out her brother's hand-me-downs, chasing the geese off the village green in her native Czech Republic which was then under communist rule. Filled with poultry and very long sentences, Ivana's idyllic childhood came to an abrupt end in 1983 when she and her family crossed the Alps on foot to seek a new life free of communists and their blasted queues. After a year spent frolicking in a West German refugee camp, the family finally had a gutful of that sort of adventure, and they settled in Australia in 1984 where they've been living it up ever since. Forward twenty years. Following the publication of her debut thriller 'A Decent Ransom' by the now defunct Kunati Inc. in 2008, Ivana developed the habit of talking about herself in the third person, a skill that comes in particularly handy when writing biographies. To this end, Ivana has also conquered her fear of appearing ridiculous due to excessive bragging as can be seen in this very intro right here. 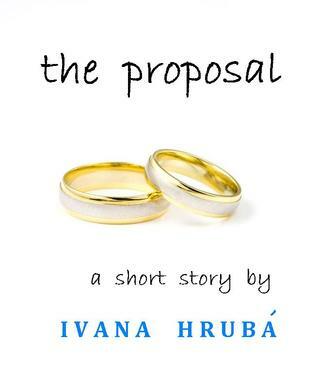 In the tradition of all gifted folk, working for a living has never appealed to our author; therefore, Ivana has largely given up on the idea, preferring to spend her time writing books. How long she can keep it up will depend on how well her books sell (Ivana has recently split the atom (again) when she discovered ebook publishing on the net and proceeded to convert her entire body of work into ebooks in hopes of a tremendous public response. Hint, hint, this is where you, the public, come in).In the wake of the, dare one say, earth-shattering success of her debut novel (18 copies sold in North America alone!) published by Kunati in 2008, Ivana has retreated from her adoring public to gain some much needed perspective on her life. These days Ivana can be found traipsing around her garden practicing the ancient art of Feng Shui which, in Ivana's case, consists of pouring manure on her flower beds and cutting shrubbery into interesting geometrical shapes. Yes, a regular Edward Sissorhands, Ivana's letting her creative juices flow in many a new and varied direction. Having successfully faded from public view, Ivana has been able to spread her creative wings and work as a freelance writer completely undetected, dabbling in corporate copywriting, theatre promotion, copy editing, online blogging and wedding speeches. Finding these ventures a little more financially rewarding than her high-brow literary pursuits, Ivana has decided to seek out more of them so if you, dear reader, find yourself in need of a writer, give her a bell. She'll be delighted to get involved.At the close of each day, Ivana likes to unwind in front of the computer where she spends time googling herself, rating her own books very highly and drawing cartoons for her own amusement. To unwind from that pleasure, she takes her dogs, cats, mice, lice, ponies, chickens and goldfish for a walk down the beach. It's a good life for everyone involved. By the way, if you find yourself with a spare 5, 6 hours and can't get hold of a Bollywood movie, why don't you just go to in your country and download Ivana's books, hey? It will only take a minute and you'll be glued (she writes 'good', you know). You will make her very happy. Feel free to post reviews (only good ones) ;) Cheers, Yours TrulyP. S. This is a fan page only. Don't ask Ivana to be your 'friend'; she won't be. Friends show up as followers here on Goodreads and trust me, you don't want Ivana following your every move.